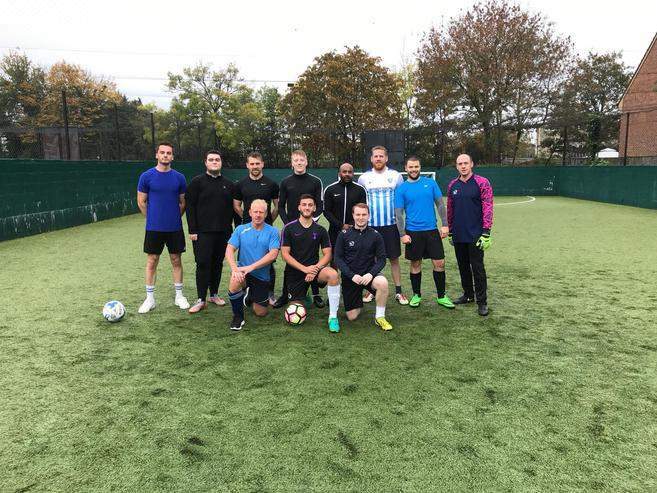 On Sunday 14th October we held our first ever Staff V Members Football Match. Despite the adverse weather conditions all players insisted on the match going ahead as confidence was high on both sides. Staff, with a mixture of youth and ability, started the game well against the Members who had experience and determination on their side, and the Staff went into an early 2-0 lead. This quick start seemed to have an effect on both sides, and it provided the spark needed for the members to realise they were in for a tough game, and soon pulled the score back to 2-2. Things then changed for the Staff - soon after they took a 3-2 lead one player already carrying a knock, had to leave the field and was unable to carry on. The result stayed the same going into half time. Shortly into the 2nd half the Staff suffered another injury meaning that not only would they be one player down, but the second injured played had to go in goal. This is when the flow of the game changed with the Members having the luxury of an extra player as sub to keep them fresh. For the first time in the game the Members took the lead to make it 4-3 and soon followed this up with a couple of really nice goals to increase the lead to 6-3. The rain continued to come down hard making the surface quite slippery, and with a few inexperienced footballers on the Members team they were slipping about allowing the Staff to come back into the game bringing the score to 6-5. However the Members persited with their style and both teams exchanged goals back and forth, but the Members led 8-6. The Members final goal would come with about 10 minutes left and the score stood at 9-6. The Staff were determined not to lose this so they knew they had to start passing the ball around more, and used their youth and fitness to their advantage, thus pulling 2 goals back. With only 5 minutes remaining the score was 9-8 to the Members, and with some solid defensive work they managed to hold on for the first win in a potential series of matches between Staff and Members. We look forward to the re-match!